If your child loves to help animal, this child veterinarian costume is just for her! This vet costume includes a shirt and pants. The shirt and pants are both pink and are made of polyester. The top feature a V-neck and the words "Property of The Critter Clinic Do Not Remove" in bright pink type. The pants have an elastic waistband for a comfortable fit. 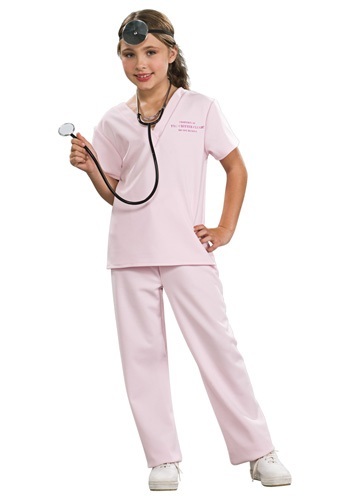 Check out all of our doctor and nurse costumes to get a cute medical profession look for your child.